History: Herbert was found injured in Bristol City Centre. It’s believed that he became impaled on some bird control spikes and damaged his wing trying to get free. He has come to us because local vets and rescues would only put him to sleep. Diagnosis: Herbert had compound fractures to his right wing. 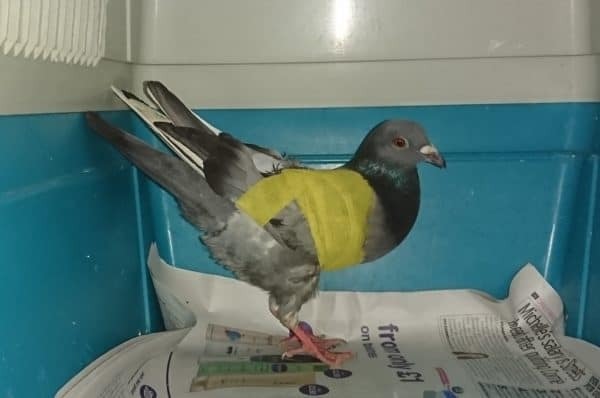 The wing was not repairable so he needed to have his wing partially amputated.